"Take out the tub - make a bigger shower." 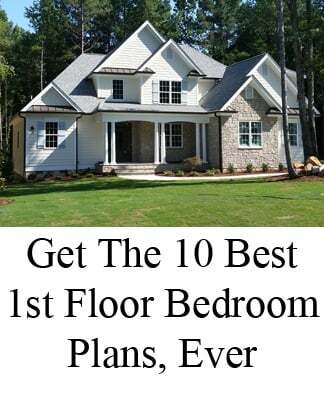 That's the number one request we're seeing for custom modifications to 2019 master bathrooms for custom homes in the Triangle region of North Carolina. 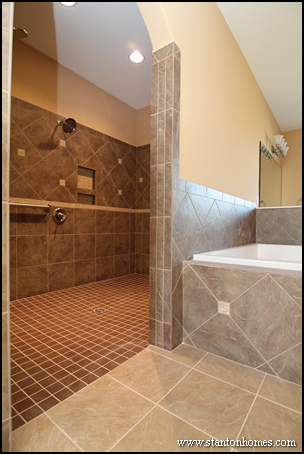 The master bathroom in the Dahlberg includes an enlarged shower with a built in tile bench. The oversized shower has two shower heads. 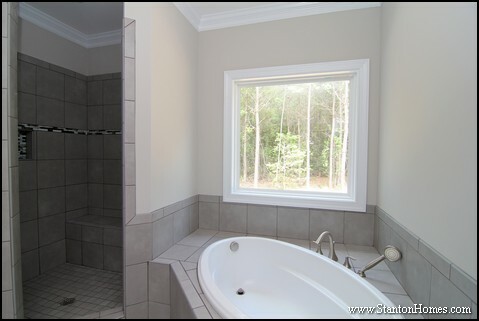 In the Lake House, the master bathroom includes an enlarged shower with two shower heads and a tile bench seat. The separated vanities are divided by a reduced height make-up desk. 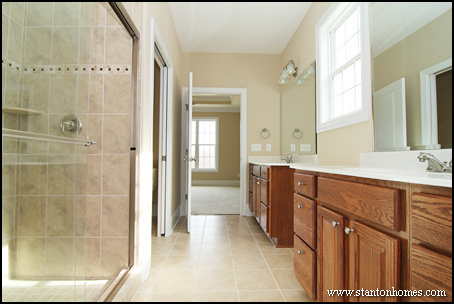 The big shower in the Maple Lane master bath has plenty of room for two - yet is a space saver, tucked into the corner. Opaque glass adds privacy. 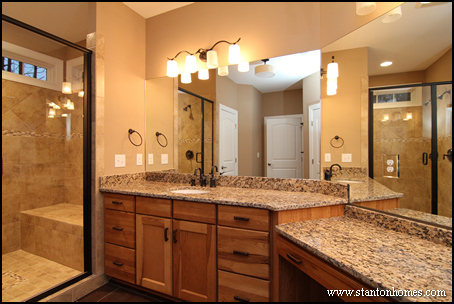 The Sherri master bath has a comfortable appeal, with soft color choices, classic cabinetry, and a big shower suitable for two. 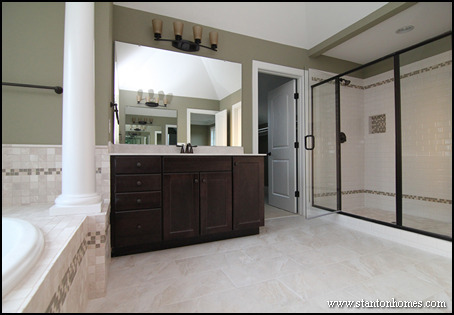 The Elk Point master bath has a huge, wide open shower with multiple shower heads and high tile that is replicated across the room. The Firebird is loaded with grab bars and lots of space to move around - a great aging-in-place design. 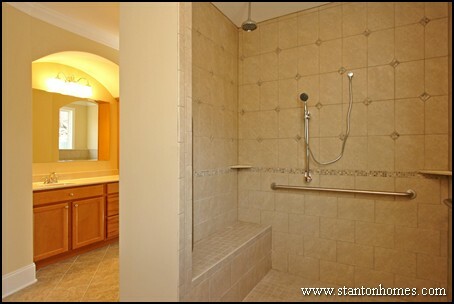 The Judson, a wheelchair accessible home, is a great example of just how big and open a shower can be in a custom home. 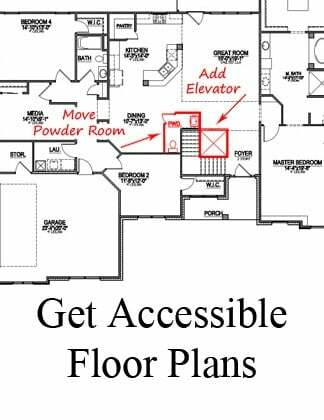 We're getting requests for this kind of wide open access to the shower for homes that do not require any special accommodations. The New River House big shower has a built in bench, with a shape that tapers to allow as much floor space inside and out as possible in a smaller bathroom. 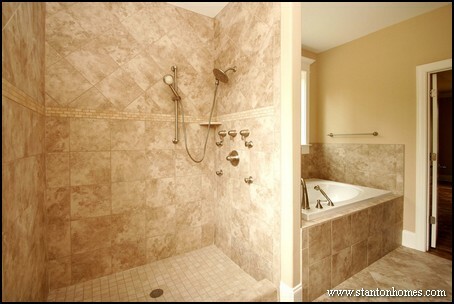 Coordinating colors with a custom tile treatment makes this huge shower even more fun, in the Oak Lane master bath. 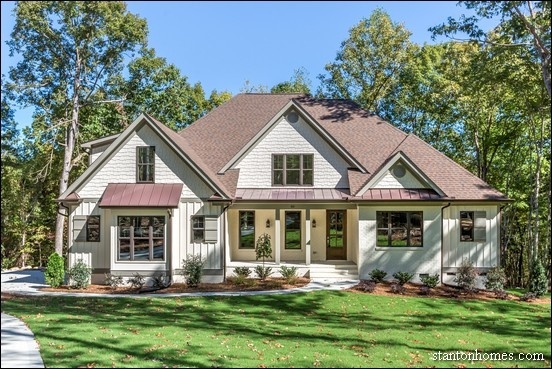 Take a look at these 2014 Raleigh new homes with master showers built for two. 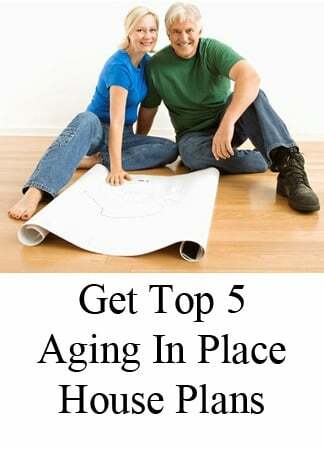 Whether you're looking for a full spa experience in a spacious area all your own, or want a comfortable experience together, these ideas will inspire your new home design. 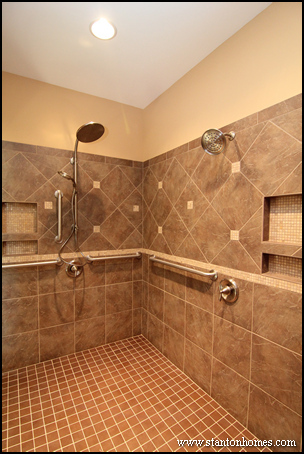 These oversized shower designs include features like dual shower heads, bench seating, built in storage cubbies, custom tile designs, rain shower heads, hand held faucets, adjustable height shower heads, universal design features, wheelchair accessible use, and aging in place design. 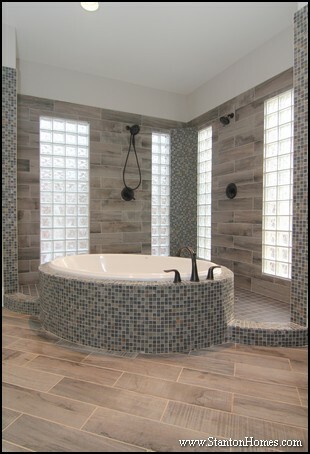 In this luxury custom home shower design, the no door shower entry opens into two distinct spaces, each with a private shower fixture set up. 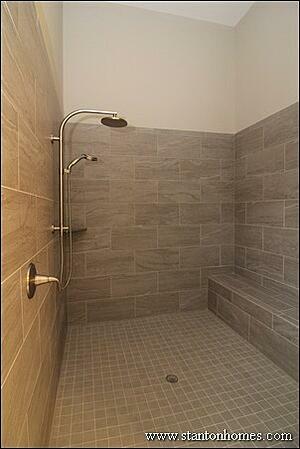 The shower opening is large enough for a wheelchair to glide through. 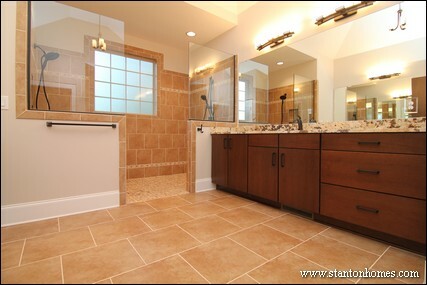 See this shower design up-close, in the photo below. 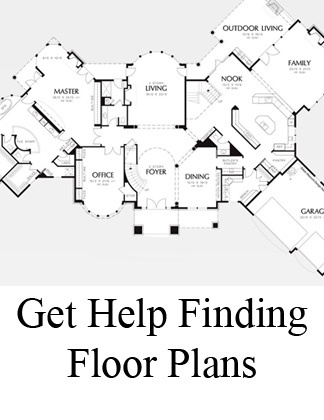 You will find a lower height shower faucet on/off lever (comfortable for use from a wheelchair), built in storage, a corner tile bench, and custom tile patterns. The glass half wall opens up the shower space, without exposing its full height. 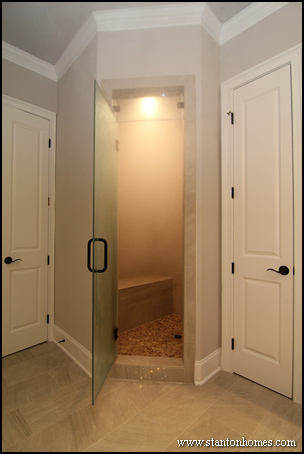 In this Raleigh new home, the homeowner requested a sauna shower combination as a soothing retreat. 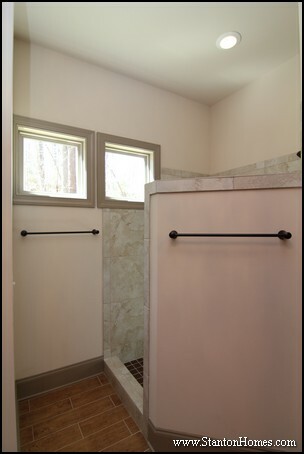 In this corner shower, two shower heads were included each with adjustable height capabilities. 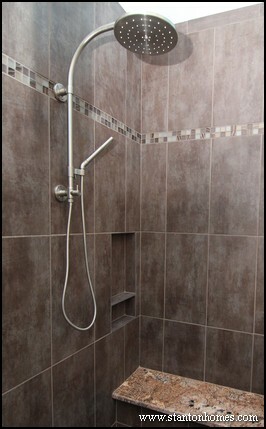 The shower head on the right is mounted lower, for use in combination with the built in tile bench. 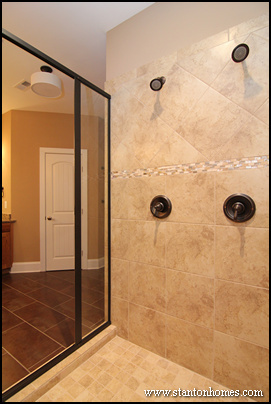 Two shower heads can be added to showers of all shapes and sizes - including a smaller shower such as the one pictured below. 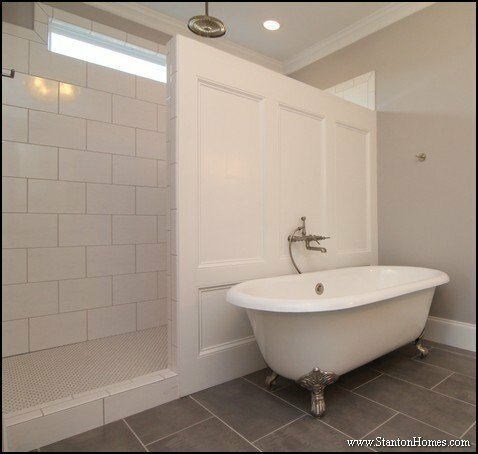 In this Raleigh new home, two shower heads were added to the same wall. 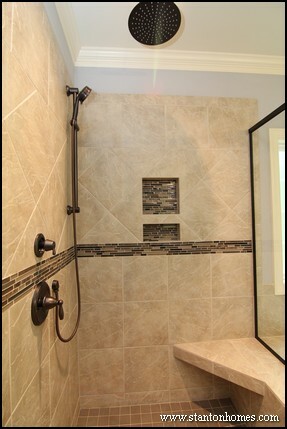 The dual shower heads take full advantage of this shower wall. 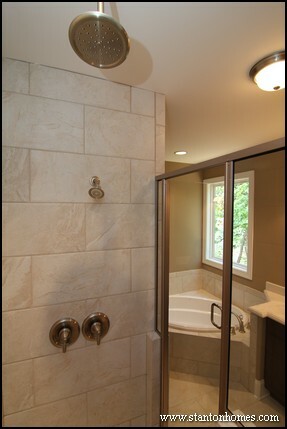 There are three showerheads in this bath design: two wall mounted and one sliding bar showerhead. 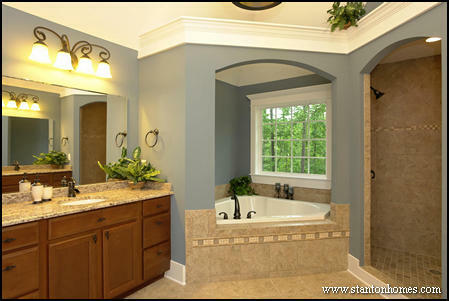 Grab bars line the shower walls, discretely blending in with the shower fixture design. Can lighting illuminates the room, for easy visibility. 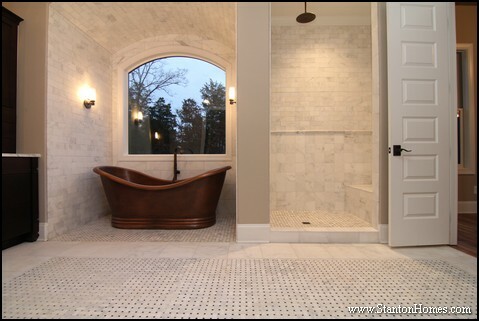 The dual built ins and shower head placement give this master bath a his and her shower design. 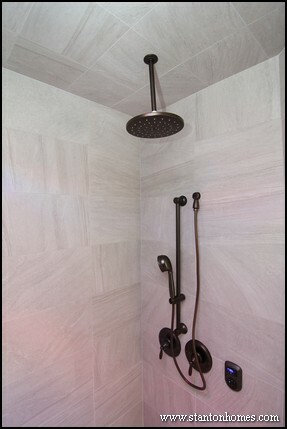 This master shower blends contemporary shower head styles with classic tile patterns. 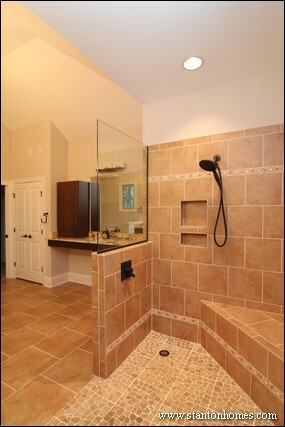 A growing trend for 2014 Raleigh new homes is to include a wall mounted shower head with a ceiling rain shower head above. 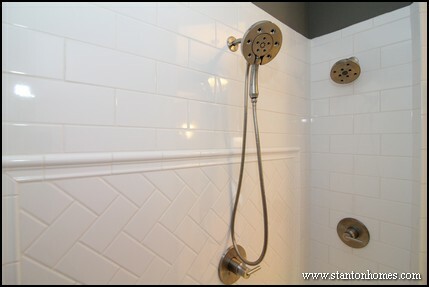 This master shower features a white subway tile design with herringbone pattern accent in the center. 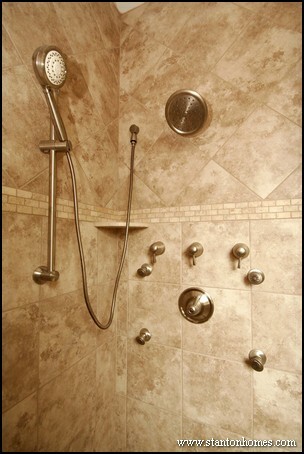 In a version of the Summerlyn, two shower heads are included, one on each end of the wide shower design. 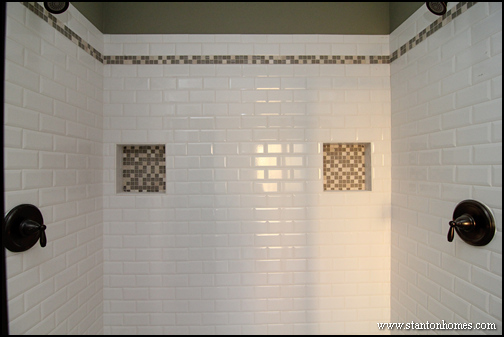 See this symmetrical design of this shower up-close: two shower heads, dual built in storage centers. 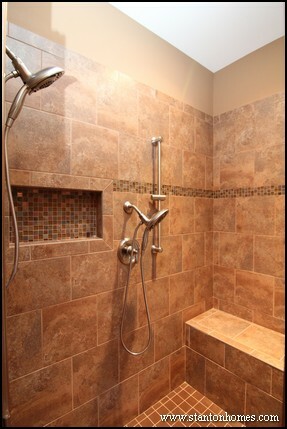 This master shower features a combination of shower heads and body spray features for a full spa shower experience.